The unstoppable Island of the Gods enters a new month by presenting more options for culinary enthusiast to try. Get ready, this list might be a bit too hot to handle. 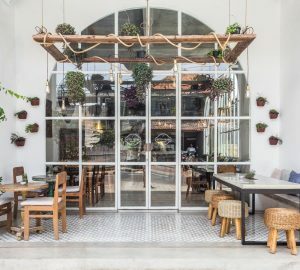 Recently opened on Canggu’s brand new shopping and dining strip, Echo Quarter, Lettuce Inn is a boutique coffee spot and restaurant and all-round chill destination. It stands alongside big-brand names like Indosole, Sir the Label and Dream Good surf shop just footsteps from Echo Beach. Lettuce cup is the keyword, hence, the name. Served with mains to your liking such as meatballs with zucchini and parmesan, fried chicken and glazed pork belly. Opt for pumpkins filling if you are not a carnivore. Lettuce Inn, Jl Batu Mejan No.69, Canggu. Open daily. La Pasteria is the brand new and humble Italian that’s just opened in less busy. La believes in handmade, artisanal pasta done right, cooked with quality sauces and packed full of flavor making it an authentic Italian. Should no carbohydrates be in your diet, reach out for the tuna carpaccio. Save room for its killer dessert, espresso panna cotta tartlet for dessert. La Pasteria, Jl Umalas 1 No.1A, Umalas, p. +62 812 3826 010. Open Tues – Sunday 4pm – 11pm. 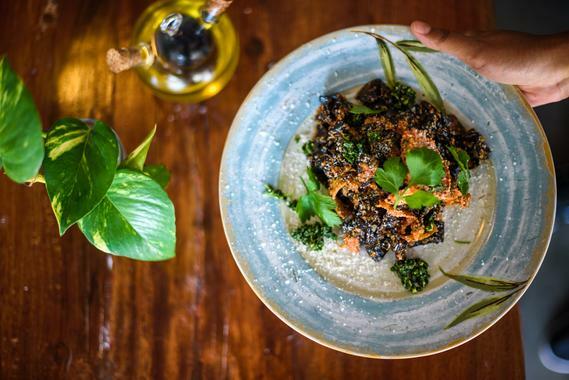 As Canggu’s latest plant-based restaurant, Plant Cartel that is into ethical business. 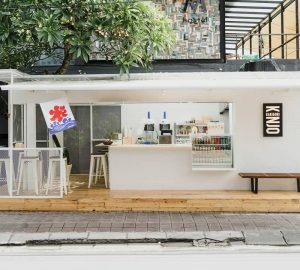 Its uniqu approach is different to most vegan restaurants in Bali by serving fast food that’s just as “meaty”, and as satisfying. You’ll see Double Pleeseburger, Popcorn Chick’n and The PcMuffin, to the Mac & Pleese, vegan hotdog and loaded fries. Plant Cartel, Jl Batu Bolong No.83A, Canggu, e. info@plantcartel.com. 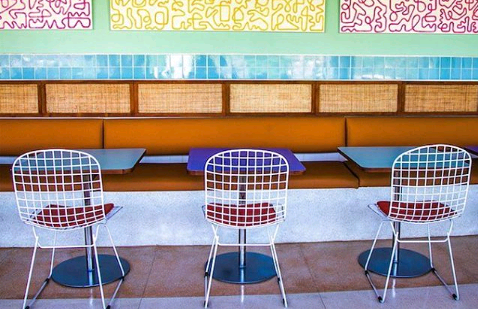 Open daily 8am – 10pm. 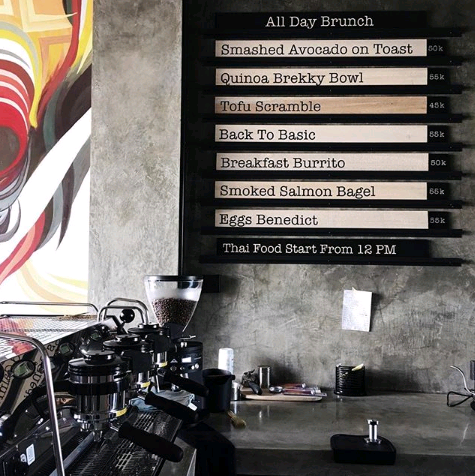 DuaTiga in Berawa has got Canggu’s locals stay up all night high on caffeine. Specialising in house-roasted beans and top-notch brews, this Melbourne-style industrial café is the place to go for strong coffees. They also serve smoothie bowls and juices. 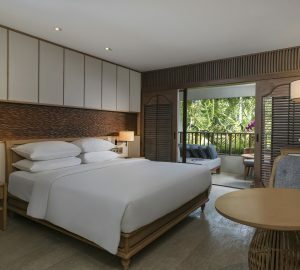 DuaTiga, Jl Pantai Berawa No.102, Canggu. Open daily 8am – 4pm. With its bright pink interior, you cannot help but spotting this new Seminyak “Geek in the Pink.” sitting still and be pretty on Petitenget street. 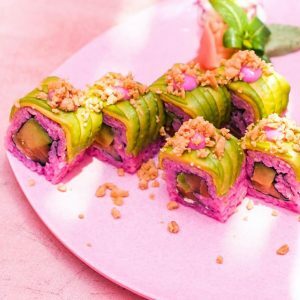 Playful cocktails and epic sushi rolls that come with a vibrant pink glow (do not worry, natural colouring). Even their mayo is pink. 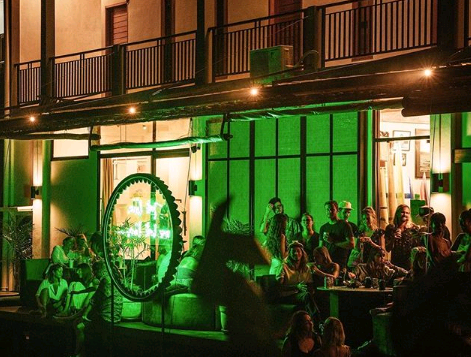 Definitely a place to be for the eclectic culinary enthusiast. Who’s Your Daddy, Jl Petitenget No.69X, Seminyak, e. whosyourdaddybali@gmail.com. Open daily 5:30pm – midnight.